Australia’s Historical Places: Abercrombie House. 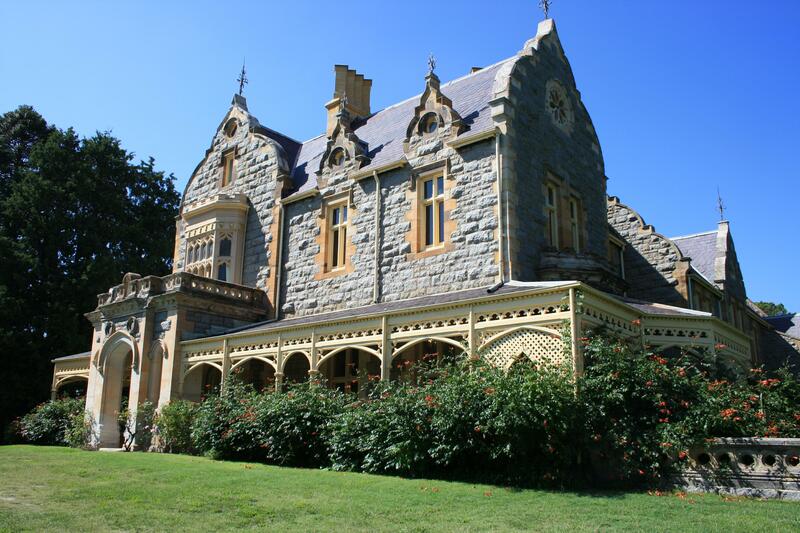 The country town of Bathurst, about 200 kilometres (124 miles) west of Sydney is best known for its annual car racing, yet tucked away on the outskirts of town visitors can discover a little piece of history. William Stewart arrived in Australia in 1825 and became Lieutenant Governor General of New South Wales. He was granted land in Bathurst in order to help colonise the region; his land extended as far as where the town is currently located, including Mount Panorama itself, about 6 kilometres (3 miles) away. Abercrombie House was built in the 1870s by his eldest son, yet after World War I it fell into decline. It became the home of the current owners during the late 1960s and since then they have spent many years restoring the house, grounds and outbuildings, and is now heritage listed. Today the house would be best described as a mansion, containing at least a dozen bedrooms, a turret and a ballroom. For some months now I have had an idea for a new novel and I think I may well have found the perfect setting with Abercrombie House. Here is a glimpse of the photos I took inside the house and around the grounds of Abercrombie House. Do you visit historic houses? Are you one to enjoy undertaking a big project – like house renovation? Have you made a lucky discovery recently? Previous Post Back to the 80s: Is Hollywood Out of Ideas? Next Post Being a Writer: A Leap of Faith.